Planet of the Apes is a 1968 American science fiction film directed by Franklin J. Schaffner. It stars Charlton Heston, Roddy McDowall, Kim Hunter, Maurice Evans, James Whitmore, James Daly and Linda Harrison. The screenplay by Michael Wilson and Rod Serling was loosely based on the 1963 French novel La Planète des Singes by Pierre Boulle. Jerry Goldsmith composed the groundbreaking avant-garde score. It was the first in a series of five films made between 1968 and 1973, all produced by Arthur P. Jacobs and released by 20th Century Fox. The film tells the story of an astronaut crew who crash-lands on a strange planet in the distant future. Although the planet appears desolate at first, the surviving crew members stumble upon a society in which apes have evolved into creatures with human-like intelligence and speech. The apes have assumed the role of the dominant species and humans are mute creatures wearing animal skins. The script was originally written by Rod Serling, but underwent many rewrites before filming eventually began. Directors J. Lee Thompson and Blake Edwards were approached, but the film's producer Arthur P. Jacobs, upon the recommendation of Charlton Heston, chose Franklin J. Schaffner to direct the film. Schaffner's changes included an ape society less advanced—and therefore less expensive to depict—than that of the original novel. Filming took place between May 21 and August 10, 1967, in California, Utah and Arizona, with desert sequences shot in and around Lake Powell, Glen Canyon National Recreation Area. The film's final "closed" cost was $5.8 million. The film was released on February 8, 1968, in the United States and was a commercial success, earning a lifetime domestic gross of $32.6 million. The film was groundbreaking for its prosthetic makeup techniques by artist John Chambers and was well received by critics and audiences, launching a film franchise, including four sequels, as well as a short-lived television show, animated series, comic books, and various merchandising. In particular, Roddy McDowall had a long-running relationship with the Apes series, appearing in four of the original five films (absent, apart from a brief voiceover, from the second film of the series, Beneath the Planet of the Apes, in which he was replaced by David Watson in the role of Cornelius), and also in the television series. The original series was followed by Tim Burton's remake Planet of the Apes in 2001 and the reboot Rise of the Planet of the Apes in 2011. Also in 2001, Planet of the Apes was selected for preservation in the United States National Film Registry by the Library of Congress as being "culturally, historically, or aesthetically significant". Astronauts Taylor (Charlton Heston), Landon (Robert Gunner) and Dodge (Jeff Burton) are in deep hibernation when their spaceship crashes in a lake on an unknown planet after a long near-light speed voyage, during which they aged 18 months due to time dilation while their fourth crewmate Stewart died and decayed due to a malfunction. The three survivors abandon ship when it immediately starts sinking, Taylor remaining on long enough to see the date is November 25, 3978, approximately two millennia after their departure in 1972. Once ashore, Dodge performs a soil test and pronounces the soil incapable of sustaining life. After abandoning their raft, the astronauts set off through a desolate wasteland in hopes of finding food and water before their provisions run out. They encounter plant life and go swimming at an oasis at the edge of the desert, ignoring eerie scarecrow-like figures around the edge. While they are swimming, their clothes are stolen. The astronauts pursue the thieves, finding their clothes torn to shreds and their supplies pillaged as the perpetrators, a group of mute primitive humans, raid a cornfield. The primitive humans are then set upon by armed gorillas on horseback who capture some of them while killing the rest, Dodge being killed in the chaos while Landon is rendered unconscious. Taylor is shot in the throat and captured alongside the primitive humans, taken to Ape City where his life is saved after a blood transfusion administered by two chimpanzees: animal psychologist Zira (Kim Hunter) and surgeon Galen (Wright King). While unable to speak as his throat wound is healing, called "Bright Eyes" by Zira and placed with one of the captive primitive humans he later names "Nova", Taylor observes the enhanced society of talking apes and in a strict caste system: the gorillas being the military police, hunters and workers; the orangutans overseeing the affairs of government, science, and religion; and intellectual chimpanzees being mostly scientists. While their society is a theocracy similar to the beginnings of the human Industrial Era, the apes consider the primitive humans as vermin that are hunted, either killed outright, enslaved, or used in scientific experiments. Taylor eventually gets Zira's attention, convincing her of his intelligence as she and her fiancé Cornelius (Roddy McDowall), an archaeologist, take an interest in him. The couple's orangutan superior, Dr. Zaius (Maurice Evans), learns of this and arranges for Taylor to be castrated. Taylor escapes before the castration can occur, passing through a museum during his desperate flight through Ape City where he finds Dodge's stuffed and eyeless corpse on display. When Taylor is recaptured by gorillas, he overcomes his throat injury while roaring: "Take your stinking paws off me, you damn dirty ape!" A hearing to determine Taylor's origins is convened by the president of the Assembly (James Whitmore), Dr. Zaius, and Maximus (Woodrow Parfrey). Dr. Honorious (James Daly) is the prosecutor. Taylor mentions his two comrades at this time, learning that Landon was subjected to a lobotomy that has rendered him catatonic and unable to speak. After the tribunal, believing Taylor to be of a human tribe from beyond their borders, Zaius privately threatens to castrate and lobotomize Taylor for the truth about where he came from. With help from Zira's socially rebellious nephew Lucius (Lou Wagner), Zira and Cornelius free Taylor and Nova and take them to the Forbidden Zone, a taboo region outside Ape City that has been ruled out of bounds for centuries by Ape Law where Taylor's ship crashed. While Cornelius and Zira are intent to gather proof of an earlier non-simian civilization which the former came upon a year prior to be cleared of heresy, Taylor is more focused on the evolution of the ape world and to prove he is not of that world. Arriving at the cave, Cornelius is intercepted by Zaius and his soldiers, with Taylor holding them off while threatening to shoot if he has to. Zaius agrees to enter the cave to disprove their theories and to avoid physical harm to Cornelius and Zira. Inside, Cornelius displays the remnants of a technologically advanced human society pre-dating simian history. Taylor identifies artifacts such as dentures, eyeglasses, a heart valve and, to the apes' astonishment, a talking children's doll. More soldiers appear and Lucius is overpowered, but Taylor holds Zaius hostage so he can arrange his escape. Zaius admits to Taylor that he always knew of the ancient human civilization, revealing that "the Forbidden Zone was once a paradise, your breed made a desert of it... ages ago!" Taylor nonetheless thinks it best to search for answers, despite being warned that he may not like what he finds. Once Taylor and Nova have ridden off, Dr. Zaius has the gorillas lay explosives to seal off the cave and destroy the evidence while charging Zira, Cornelius and Lucius with heresy. Taylor and Nova, at last free, follow the shoreline and discover the remains of the Statue of Liberty, revealing that this "alien" planet is actually Earth long after a nuclear war. Realizing what Zaius meant earlier, Taylor falls to his knees in despair and anger while condemning humanity for destroying the world. Producer Arthur P. Jacobs bought the rights for the Pierre Boulle novel before its publication in 1963. Jacobs pitched the production to many studios, but was passed over. After Jacobs made a successful debut as a producer doing 1964's What a Way to Go! (1964) for 20th Century Fox and begun pre-production of another movie for the studio, Doctor Dolittle, he managed to convince Fox vice-president Richard D. Zanuck to greenlight Planet of the Apes. One script that came close to being made was written by The Twilight Zone creator Rod Serling, though it was finally rejected for a number of reasons. A prime concern was cost, as the technologically advanced ape society portrayed by Serling's script would have involved expensive sets, props, and special effects. The previously blacklisted screenwriter Michael Wilson was brought in to rewrite Serling's script and, as suggested by director Franklin J. Schaffner, the ape society was made more primitive as a way of reducing costs. Serling's stylized twist ending was retained, and became one of the most famous movie endings of all time. The exact location and state of decay of the Statue of Liberty changed over several storyboards. One version depicted the statue buried up to its nose in the middle of a jungle while another depicted the statue in pieces. To convince the Fox Studio that a Planet of the Apes film could be made, the producers shot a brief test scene from a Rod Serling draft of the script, using early versions of the ape makeup, on March 8, 1966. Charlton Heston appeared as an early version of Taylor (named Thomas, as he was in the Serling-penned drafts), Edward G. Robinson appeared as Zaius, while two then-unknown Fox contract actors, James Brolin and Linda Harrison, played Cornelius and Zira. This test footage is included on several DVD releases of the film, as well as the documentary Behind the Planet of the Apes. Linda Harrison, at the time the girlfriend of studio chief Richard Zanuck, went on to play Nova in the 1968 film and its first sequel, and had a cameo in Tim Burton's Planet of the Apes more than 30 years later, which was also produced by Zanuck. Although Harrison often opined that the producers had always had her in mind for the role of Nova, they had, in fact, considered first Ursula Andress, then Raquel Welch, and Angelique Pettyjohn. When these three women proved unavailable or uninterested, Zanuck gave the part to Harrison. Dr. Zaius was originally to have been played by Robinson, but he backed out due to the heavy makeup and long sessions required to apply it. Robinson later made his final film, Soylent Green (1973), opposite his one-time Ten Commandments (1956) co-star Heston. Michael Wilson's rewrite kept the basic structure of Serling's screenplay but rewrote all the dialogue and set the script in a more primitive society. According to associate producer Mort Abrahams an additional uncredited writer (his only recollection was that the writer's last name was Kelly) polished the script, rewrote some of the dialogue and included some of the more heavy-handed tongue-in-cheek dialogue ("I never met an ape I didn't like") which wasn't in either Serling or Wilson's drafts. According to Abraham some scenes, such as the one where the judges imitate the "See no evil, speak no evil and hear no evil" monkeys, were improvised on the set by director Franklin J. Schaffner and kept in the final film because of the audience reaction during test screenings prior to release. [page needed] During filming John Chambers, who designed prosthetic make up in the film, held training sessions at 20th Century-Fox studios, where he mentored other make-up artists of the film. The astronauts' journey from their downed ship was filmed along the Colorado River in Glen Canyon. Filming began on May 21, 1967, and ended on August 10, 1967. 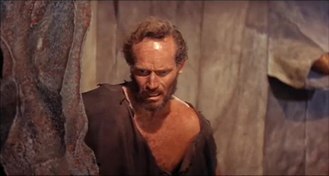 Most of the early scenes of a desert-like terrain were shot in northern Arizona near the Grand Canyon, the Colorado River, Lake Powell,:61 Glen Canyon:61 and other locations near Page, Arizona:59 Most scenes of the ape village, interiors and exteriors, were filmed on the Fox Ranch:68 in Malibu Creek State Park, northwest of Los Angeles, essentially the backlot of 20th Century Fox. The concluding beach scenes were filmed on a stretch of California seacoast between Malibu and Oxnard with cliffs that towered 130 feet above the shore. Reaching the beach on foot was virtually impossible, so cast, crew, film equipment, and even horses had to be lowered in by helicopter. :79 The home movies of Roddy McDowall (on YouTube) show makeup, the Ape Village set and the beach site/set - a wooden ramp was built around the point from Westward Beach to Pirates Cove for access to the beach set. The remains of the Statue of Liberty were shot in a secluded cove on the far eastern end of Westward Beach, between Zuma Beach and Point Dume in Malibu. As noted in the documentary Behind the Planet of the Apes, the special effect shot of the half-buried statue was achieved by seamlessly blending a matte painting with existing cliffs. The shot looking down at Taylor was done from a 70-foot scaffold, angled over a 1/2-scale papier-mache model of the Statue. The actors in Planet of the Apes were so affected by their roles and wardrobe that, when not shooting, they automatically segregated themselves with the species they were portraying. The spacecraft onscreen is never actually named in the film. But for the 40th anniversary release of the Blu-ray edition of the film, in the short-film created for the release called A Public Service Announcement from ANSA, the ship is called "Liberty 1". The ship had originally been called "Immigrant One" in an early draft of the script, and then called "Air Force One" in a test set of Topps Collectible cards, and dubbed "Icarus" by a fan; that name gained popularity among Ape fandom. Planet of the Apes was well received by critics and is widely regarded as a classic film and one of the best films of 1968, applauded for its imagination and its commentary on a possible world gone upside down. Pauline Kael called it "one of the most entertaining science-fiction fantasies ever to come out of Hollywood." Roger Ebert of the Chicago Sun-Times gave the film three stars out of four and called it "much better than I expected it to be. It is quickly paced, completely entertaining, and its philosophical pretensions don't get in the way." Renata Adler of The New York Times wrote, "It is no good at all, but fun, at moments, to watch." Arthur D. Murphy of Variety called it "an amazing film." He thought the script "at times digresses into low comedy," but "the totality of the film works very well." Kevin Thomas of the Los Angeles Times wrote, "A triumph of artistry and imagination, it is at once a timely parable and a grand adventure on an epic scale." Richard L. Coe of The Washington Post called it an "amusing and unusually engrossing picture." As of December 21, 2018[update], the film held an 88% approval rating on the review aggregate website Rotten Tomatoes, based on 56 reviews with an average rating of 7.6/10. The website's critical consensus reads, "Planet of the Apes raises thought-provoking questions about our culture without letting social commentary get in the way of the drama and action." In 2008, the film was selected by Empire magazine as one of The 500 Greatest Movies of All Time. According to Fox records the film required $12,850,000 in rentals to break even and made $20,825,000 so made a considerable profit for the studio. The film won an honorary Academy Award for John Chambers for his outstanding make-up achievement. The film was nominated for Best Costume Design (Morton Haack) and Best Original Score for a Motion Picture (not a Musical) (Jerry Goldsmith). The score is known for its avant-garde compositional techniques, as well as the use of unusual percussion instruments and extended performance techniques, as well as his 12-note music (the violin part using all 12 chromatic notes) to give an eerie, unsettled feel to the planet, mirroring the sense of placelessness. Planet of the Apes (2001): The film was a re-imagining of the original film, directed by Tim Burton. Rise of the Planet of the Apes (2011): A series reboot, directed by Rupert Wyatt, was released on August 5, 2011 to critical and commercial success. It is the first installment in the new series of films. Dawn of the Planet of the Apes (2014): The second entry in the Planet of the Apes reboot series, directed by Matt Reeves, was released on July 11, 2014. War for the Planet of the Apes (2017): The third film in the reboot series, directed by Matt Reeves, was released on July 14, 2017. Comic book adaptations of the films were published by Gold Key (1970) and Marvel Comics (b/w magazine 1974-77, color comic book 1975-76). Malibu Comics reprinted the Marvel adaptations when they had the license in the early 1980s. Dark Horse Comics published an adaptation for the 2001 Tim Burton film. Currently Boom! Studios has the licensing rights to Planet of the Apes. Their stories tell the tale of Ape City and its inhabitants before Taylor arrived. In July 2014, Boom! Studios and IDW Publishing published a crossover between Planet of the Apes and the original Star Trek series. In 2018 the original 1968 film's unused screenplay by Rod Serling was adapted into a graphic novel entitled Planet of the Apes: Visionaries. A parody of the film series titled "The Milking of the Planet That Went Ape" was published in Mad Magazine. It was illustrated by Mort Drucker and written by Arnie Kogen in regular issue #157, March 1973. The crash of the astronauts' spacecraft was partially filmed in and around Lake Powell. Horseshoe Bend on the Colorado River, near Page, Arizona, was a part of the Forbidden Zone, through which Taylor, Zira, and Cornelius fled Ape City. Malibu Creek State Park, part of which was formerly the 20th Century Fox Movie Ranch, was the location of the astronauts' initial encounter with primitive humans and superior apes, and of Cornelius, Zira and Taylor's escape from Ape City. The final scene was filmed at Point Dume's Westward Beach on the Malibu coast. The cliff face of Point Dume is obscured by the matte painting of the Statue of Liberty. ^ "Planet of the Apes". British Board of Film Classification. Retrieved December 21, 2014. ^ a b "The Planet of the Apes (1968) - Financial Information". The Numbers. Retrieved December 21, 2014. ^ a b "Those Damned Dirty Apes!". www.mediacircus.net. Retrieved June 13, 2011. ^ "30 Years Later: Rod Serling's Settling the Debate over Who Wrote What, and When". www.rodserling.com. Retrieved August 4, 2007. ^ "Planet of the Apes (1968)". Box Office Mojo. January 1, 1982. Retrieved August 18, 2016. ^ a b Brian Pendreigh (September 7, 2001). "Obituary:John Chambers: Make-up master responsible for Hollywood's finest space-age creatures". The Guardian. Retrieved February 27, 2013. ^ "Planet of the Apes (1968) A Film Review by James Berardinelli". www.reelviews.net. Retrieved August 4, 2007. ^ a b Lussier, Germain (April 14, 2011). "RISE OF THE PLANET OF THE APES Set Visit and Video Blog". Collider. Retrieved August 18, 2016. ^ a b c American Movie Classics (1998). Behind the Planet of the Apes. Planet of the Apes Blu-Ray: 20th Century Fox Home Entertainment. ^ Pulver, Andrew (June 24, 2005). "Monkey business". The Guardian. Retrieved May 13, 2015. ^ a b c d e f g Russo, Joe; Landsman, Larry; Gross, Edward (2001). Planet of the Apes Revisited: The Behind-The Scenes Story of the Classic Science Fiction Saga (1st ed.). New York: Thomas Dunne Books/St. Martin's Griffin. ISBN 0312252390. ^ Tom Weaver (2010). Sci-Fi Swarm and Horror Horde: Interviews with 62 Filmmakers. McFarland. p. 314. ISBN 0786458313. ^ "Film locations for Planet of the Apes (1968)". Movie-locations.com. Retrieved August 18, 2016. ^ "Apes Trivia". Theforbidden-zone.com. Retrieved August 18, 2016. ^ a b Handley, Rich (2009). Timeline of the Planet of the Apes: The Definitive Chronology. Hasslein Books. p. 11. ISBN 9780615253923. ^ Key, Jim (January 1, 1999). "The Flight of the Icarus". Sci-Fi & Fantasy Models International. Next Millennium Publishing Ltd (38): 14. ^ "The Greatest Films of 1968". AMC Filmsite.org. Retrieved May 21, 2010. ^ "The Best Movies of 1968 by Rank". Films101.com. Retrieved May 21, 2010. ^ Kael, Pauline (2011) . 5001 Nights at the Movies. New York: Henry Holt and Company. p. 586. ISBN 978-1-250-03357-4. ^ Ebert, Roger (April 15, 1968). "Planet of the Apes". RogerEbert.com. Retrieved December 21, 2018. ^ Adler, Renata (February 9, 1968). "Monkey Business". The New York Times 55. ^ Murphy, Arthur D. (February 7, 1968). "Film Reviews: Planet of the Apes". Variety. 6. ^ Thomas, Kevin (March 24, 1968). "'Planet of Apes' Out of This World". Los Angeles Times. Calendar, p. 18. ^ Coe, Richard L. (April 12, 1968). "The Simians Take a Planet". The Washington Post. B6. ^ "Planet of the Apes (1968)". Rotten Tomatoes. Fandango Media. Retrieved July 5, 2018. ^ "Empire's The 500 Greatest Movies of All Time". Empire Magazine. Retrieved May 21, 2010. ^ Wiley, Mason; Bona, Damien (1986). MacColl, Gail, ed. Inside Oscar: The Unofficial History of the Academy Awards. New York: Ballantine Books. p. 768. ^ "America's Greatest Movies" (PDF). AFI. 2002. Retrieved August 18, 2016. ^ "AFI'S 100 Years 100 Heroes & Villains" (PDF). AFI. Retrieved August 18, 2016. ^ "AFI 100 Years 100 Movies" (PDF). Retrieved August 18, 2016. ^ "AFI Ballot" (PDF). Archived from the original (PDF) on September 11, 2011. Retrieved August 18, 2016. ^ Lussier, Germain. "Matt Reeves Confirmed to Helm 'Dawn of the Planet of the Apes'". Slashfilm.com. ^ "Dawn of the Planet of the Apes Moves Up One Week". ComingSoon.net. Retrieved December 10, 2013. ^ McNary, Dave (January 5, 2015). "Channing Tatum's X-Men Spinoff to Hit Theaters in 2016". Variety. Retrieved January 7, 2015. ^ Sneider, Jeff (January 5, 2015). "Channing Tatum's 'Gambit' Gets 2016 Release Date, 'Fantastic Four' Sequel Moves Up". Retrieved January 6, 2015. ^ "New Planet of the Apes Movie Title Revealed". Collider. Retrieved May 14, 2015. ^ "Rod Serling's 'Planet of the Apes' Script Inspires Graphic Novel (Exclusive)". The Hollywood Reporter. Retrieved 8 April 2019. ^ "Planet of the Apes: Visionaries is Unpredictable, Stunning and Wild". 3 September 2018. Retrieved 8 April 2019. ^ "Doug Gilford's Mad Cover Site - Mad #157". Madcoversite.com. Retrieved August 18, 2016. Wikimedia Commons has media related to Planet of the Apes.